I am so excited to share this apartment tour of my best friend and her roomie’s STUNNING apartment! 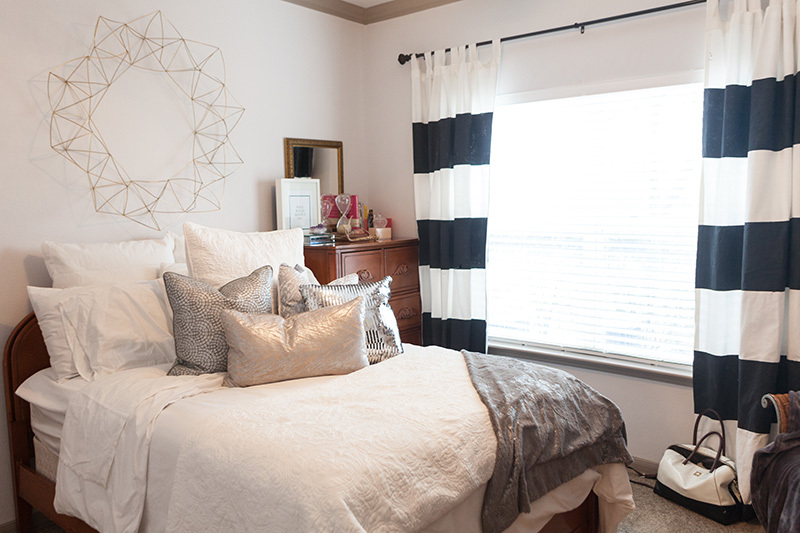 Ashley and Taylor dreamed up the perfect apartment and brought it to life on a budget! I had always admired Ashley and Taylor’s style even before they collaborated to create such a beautiful space. 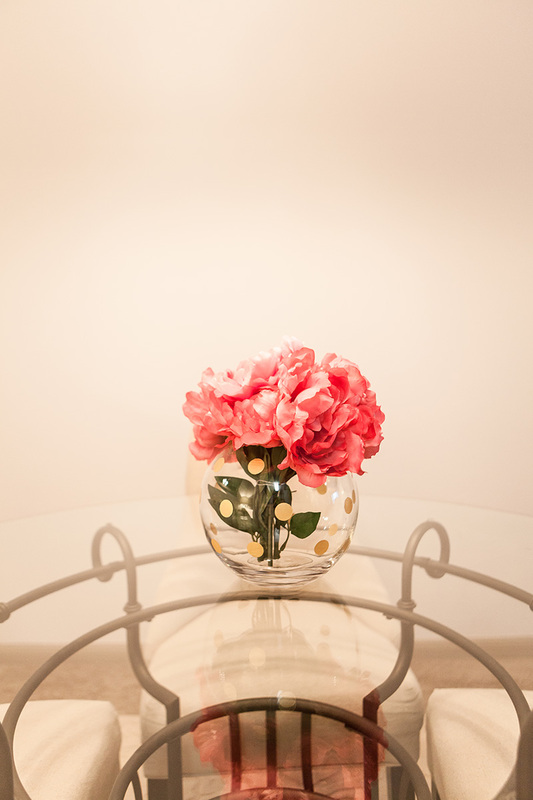 With the inspiration of Kate Spade to Anthropolgie every detail in their apartment is uniquely beautiful. Meet Ashley (RIGHT) and Taylor (LEFT). 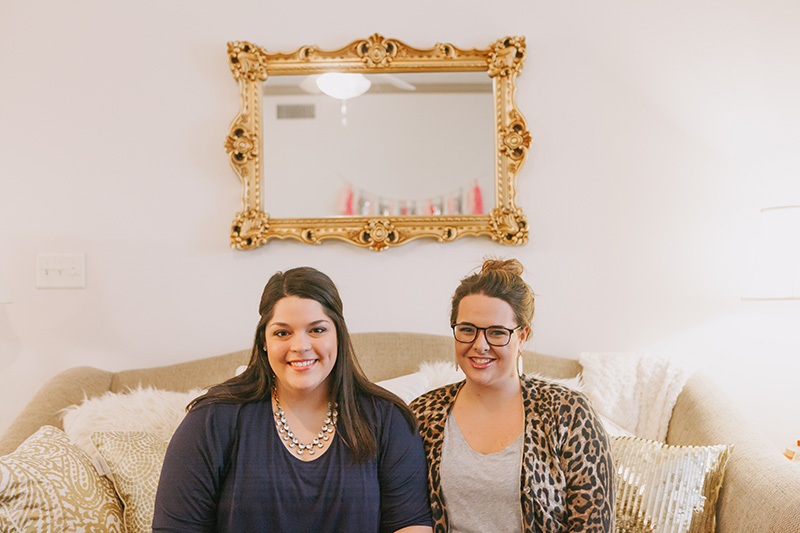 These two lovely ladies are just as cool, creative, and beautiful as their apartment. 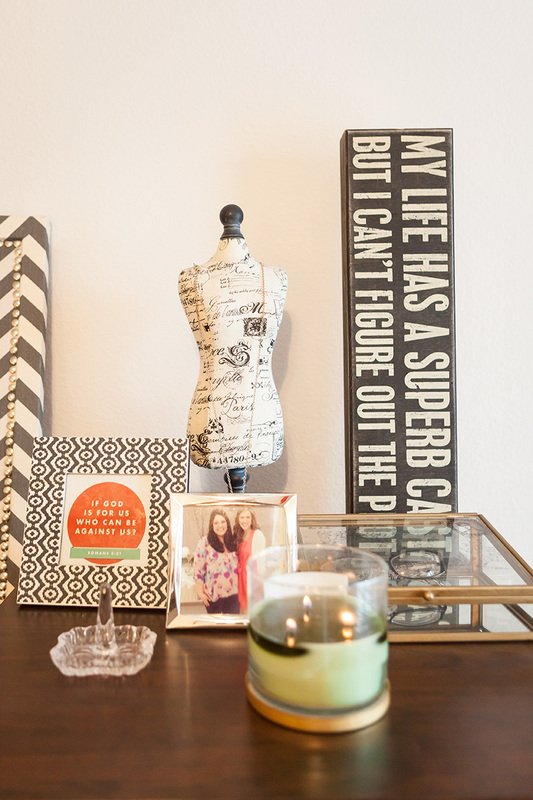 Be sure to follow them on on Pinterest to see more decorating ideas that inspire them! Let’s start in the living room. 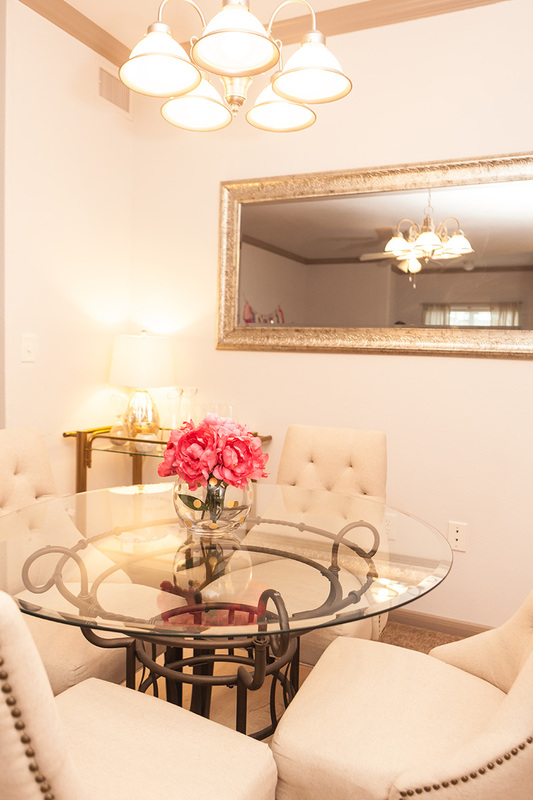 The couch, pillows, and mirror are the first thing you see when you walk in. 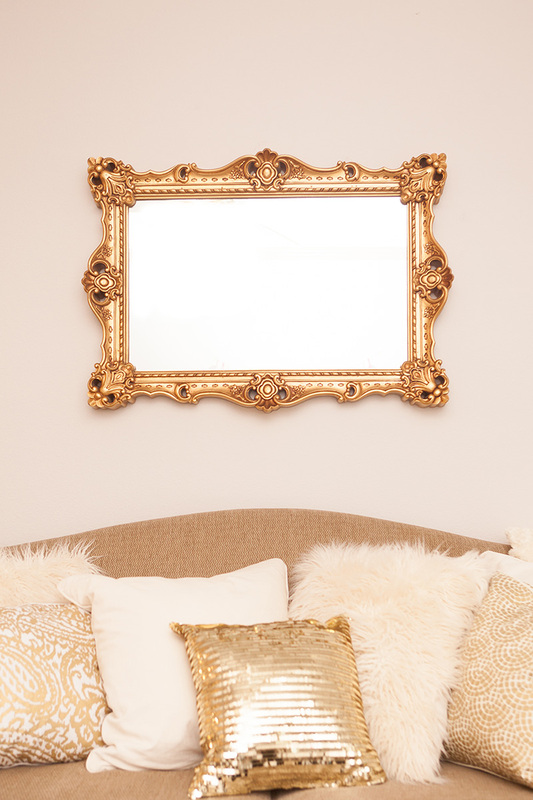 All of the gold is perfection and the fuzzy pillows and shape of the couch just add to their cozy/glam look. 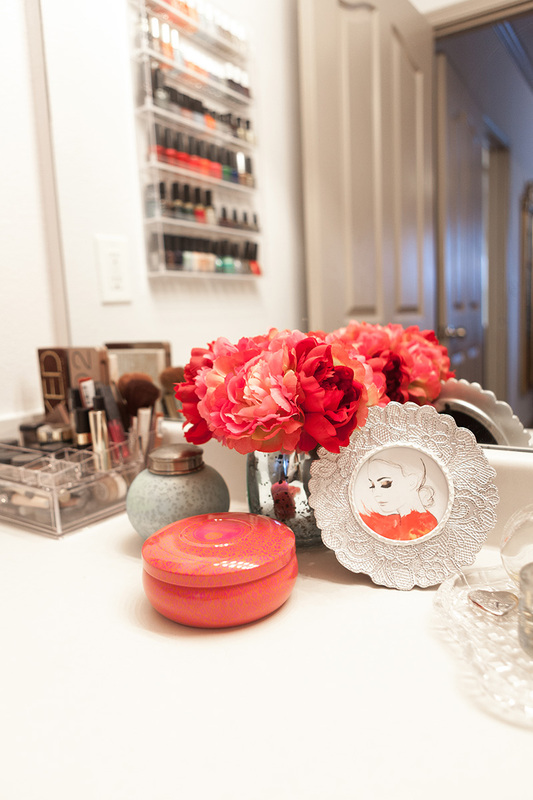 My favorite thing about the mirror is that Ashley said she grew up with it in her family’s home. 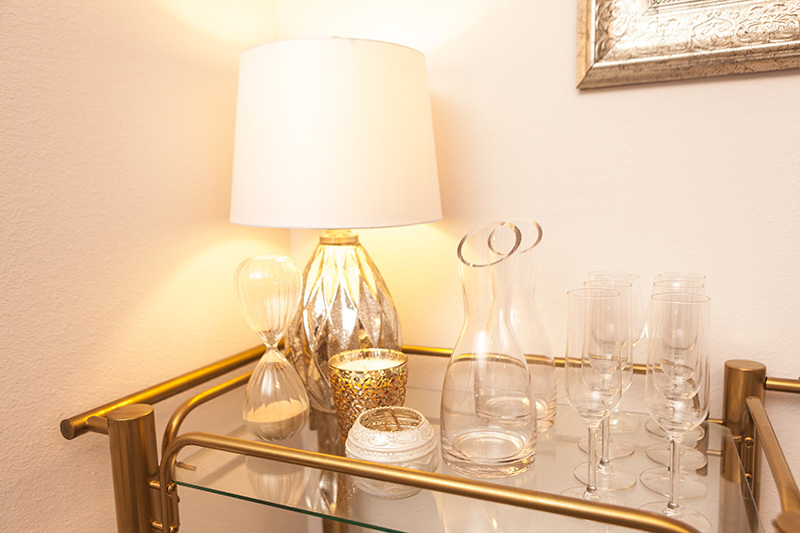 The lamps were goodwill finds that they spray painted gold. Pillows were a mix of Garden Ridge, TJ Maxx, and Marshalls. As soon as you take in the beauty of the living room you really can’t help but notice and admire the stunning dining area! 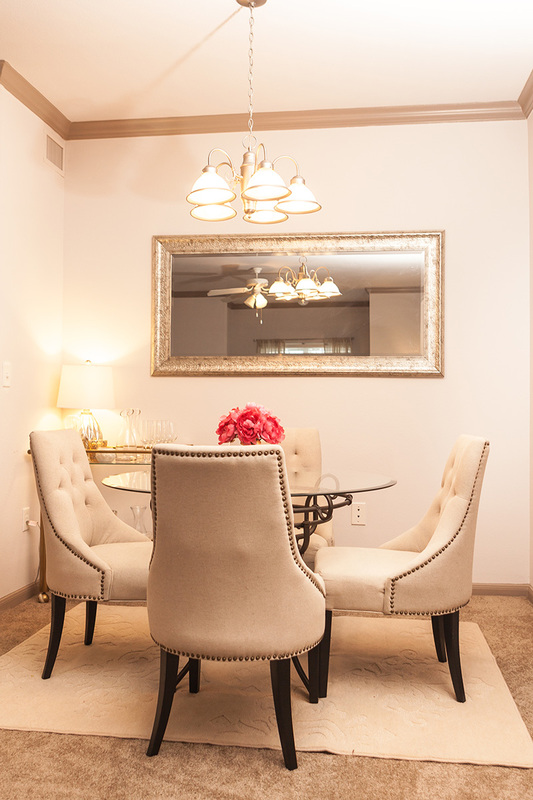 All the metallics and tufted chairs welcome you right in to sit down for a meal. 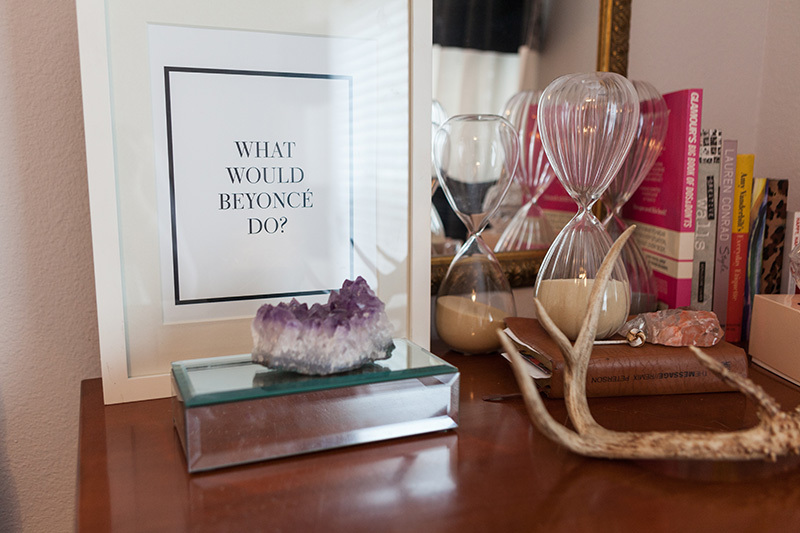 The mirror is from Garden Ridge, the chairs are from World Market, and the gold polka dot vase is a DIY Taylor made. 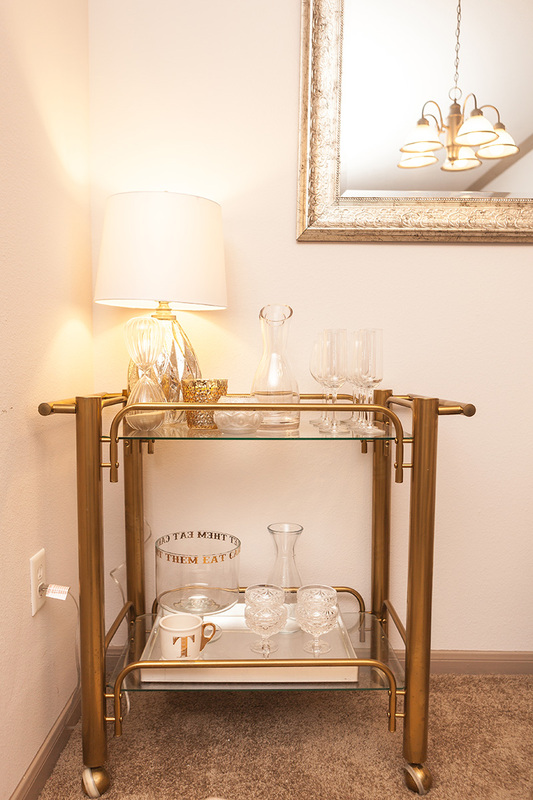 This bar cart is a part of their dining room but it deserves it’s own special shout out! They found this bar cart at Goodwill for $20. Let me repeat that … TWENTY DOLLARS. Such a steal. It was brass when they got it and they added a fresh coat of gold spray paint to tie it into the rest of their space. All accessories on the cart are TJ Maxx and Marshalls. 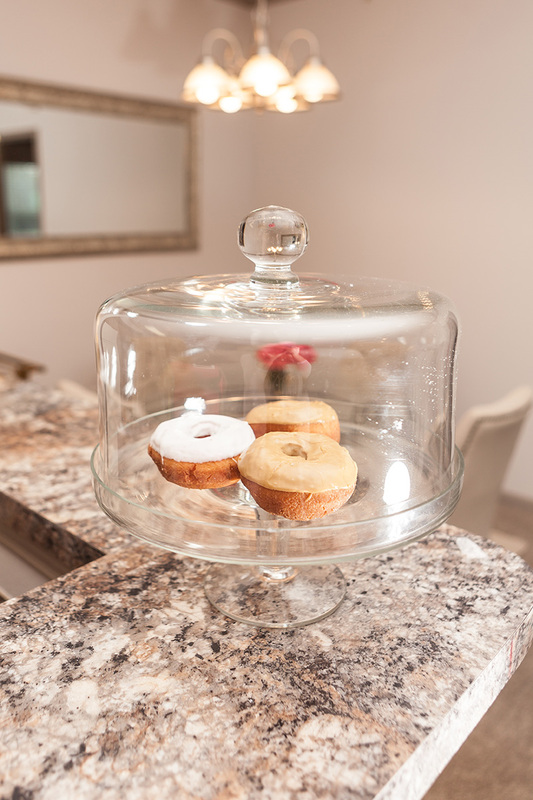 A styled apartment is never complete without fresh donuts. Great job, girls!! 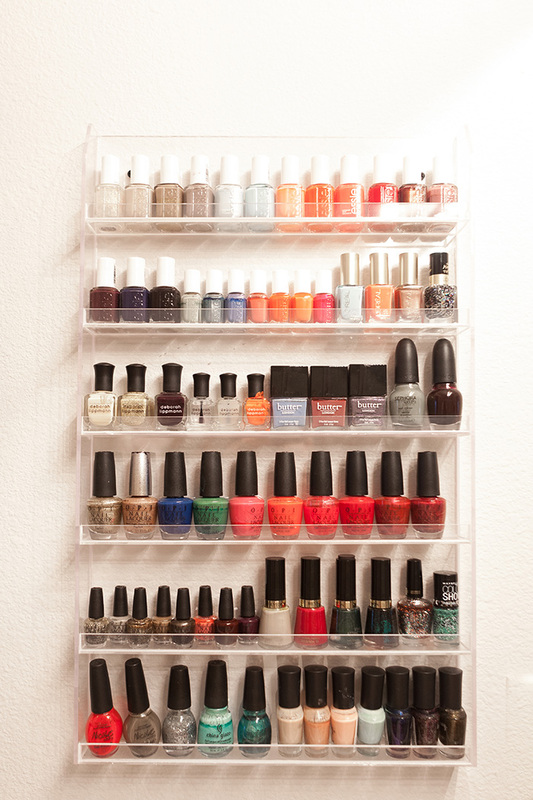 Welcome to Taylor’s bedroom! I just love how cozy it is as soon as you walk in. 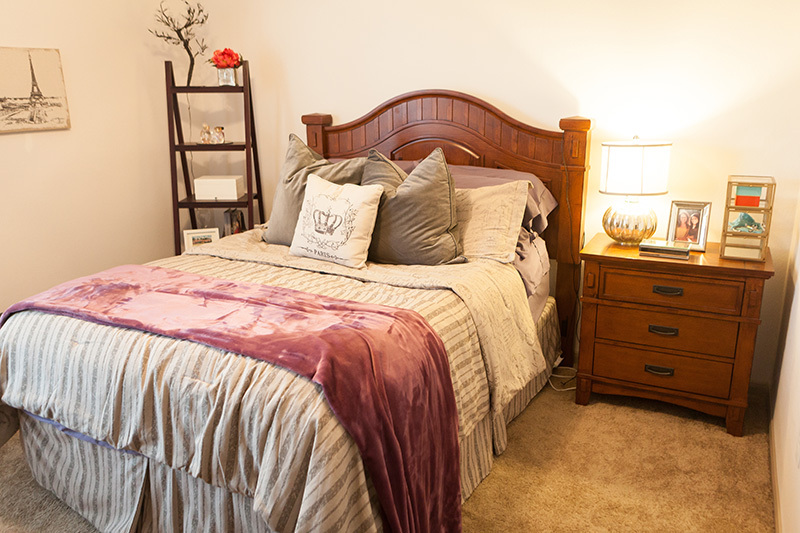 Her color palette is warm and inviting plus she has one of those beds you just want to jump on/nap in for hours! 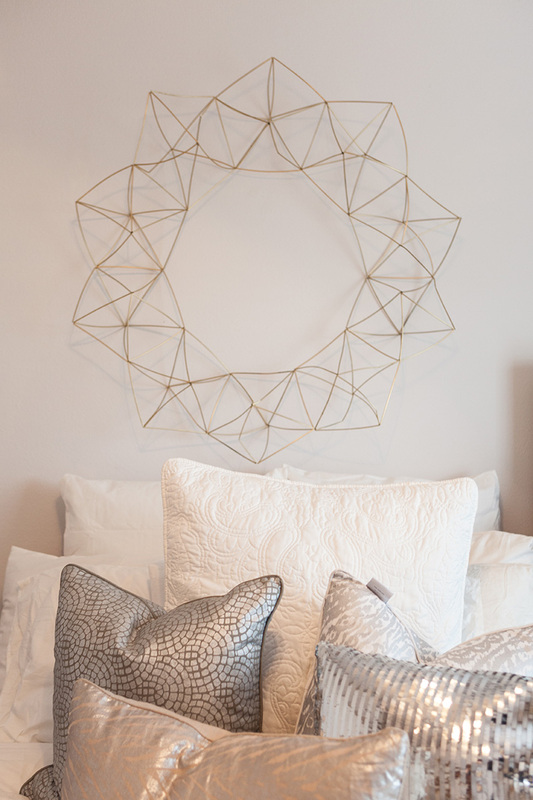 Ashley’s bedroom is the perfect amount of eclectic while still being clean and cozy. 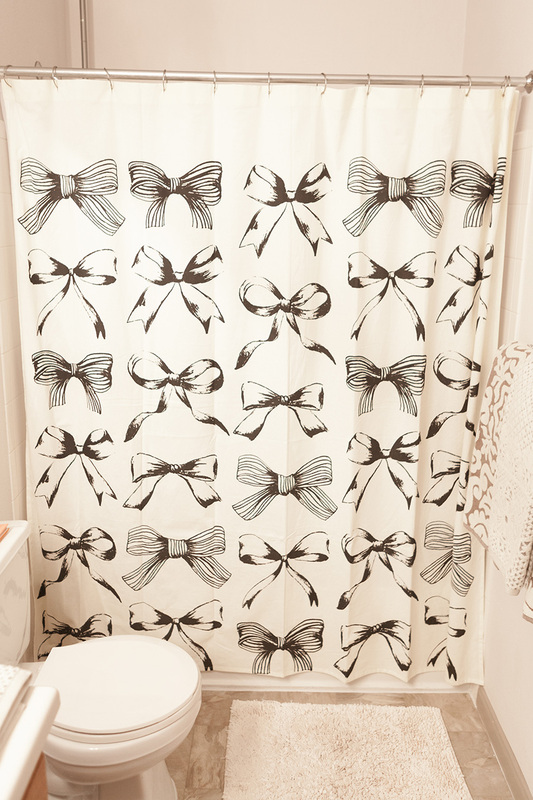 I love all the white and silver pillows and her DIY black and white striped curtains. 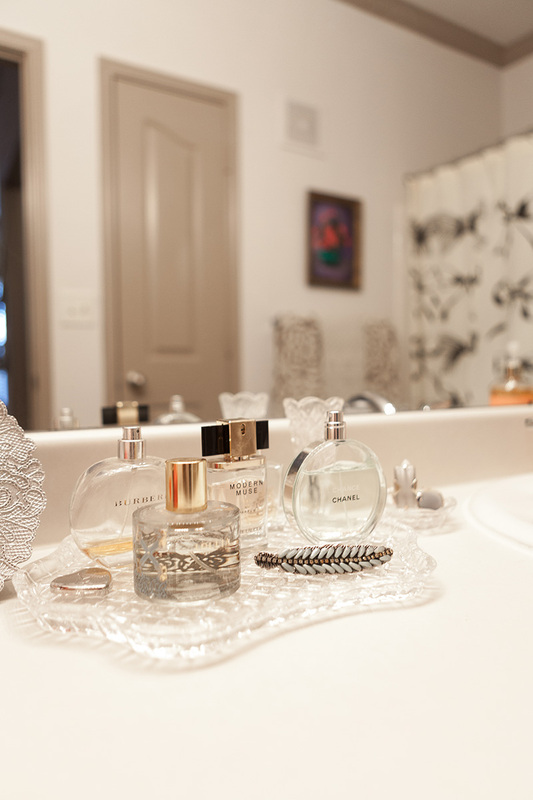 Ashley’s bathroom is everything you could want in a stylish and functional bathroom. 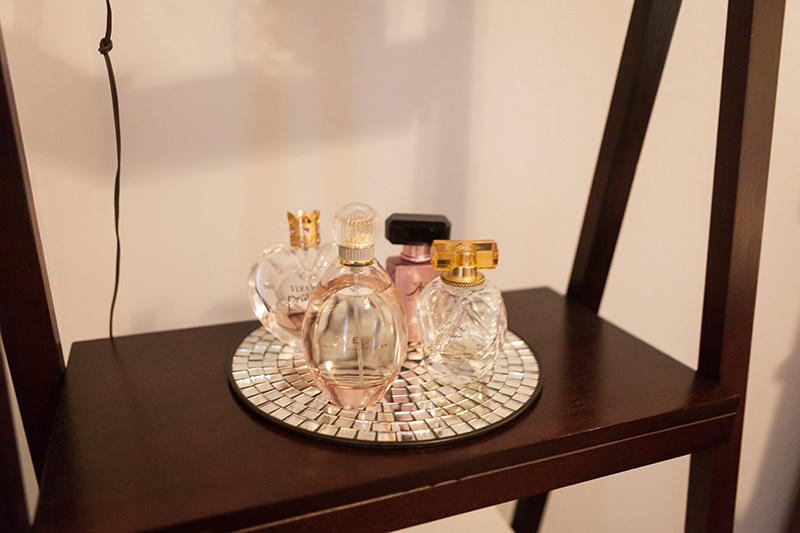 From her beautiful perfume bottle displays to her awesome acrylic nail polish rack and cosmetic organizer you just can’t help but be inspired. Absolutely Beautiful! 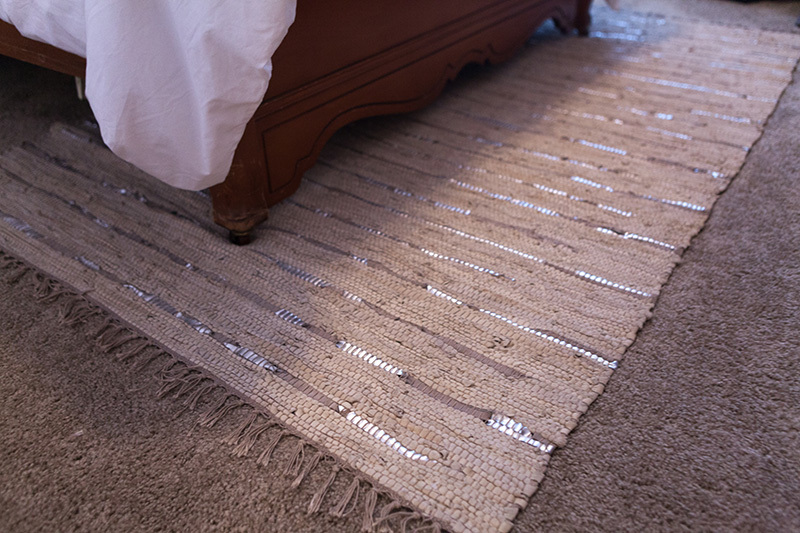 Love their DIY projects that look like a million bucks! So pretty girls! 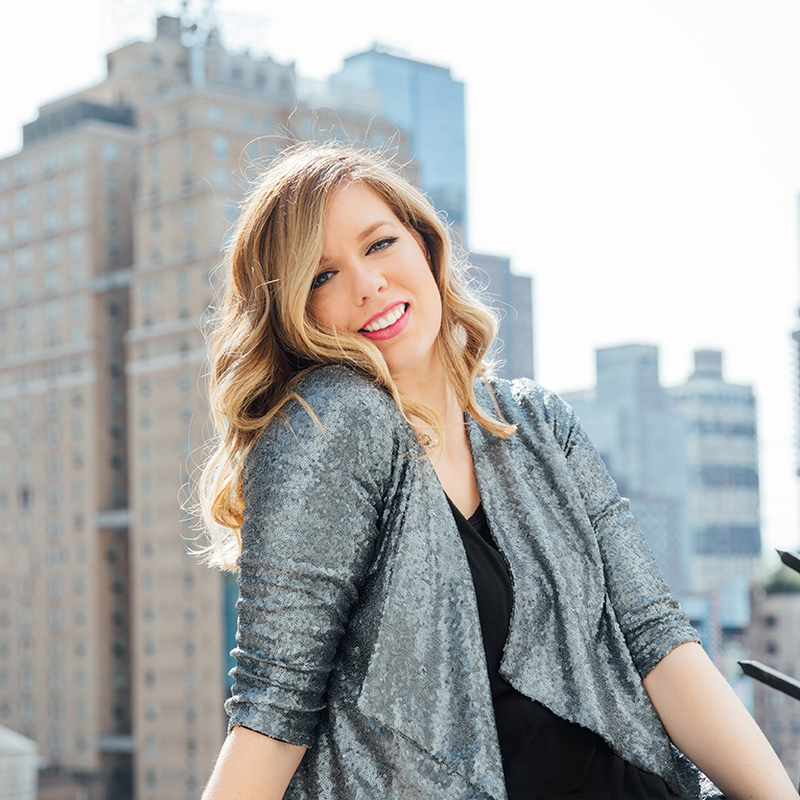 Great blog – nice photos Jenna. You are so stylish! Love love love! 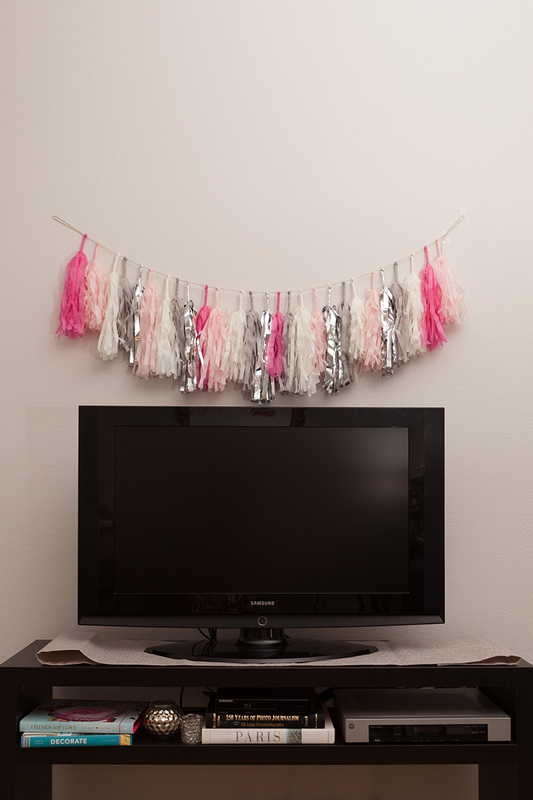 So trendy yet inviting!